Vauxhall Area Guide - What makes Vauxhall so great? Where do Vauxhall locals go? Share your favourite place to go to in Vauxhall. "The name Lambeth is recorded from 1255 and is derived from "landing place for lambs"." There are many luxury developments that line the Thames, but St George Wharf has to be one of my favourites. 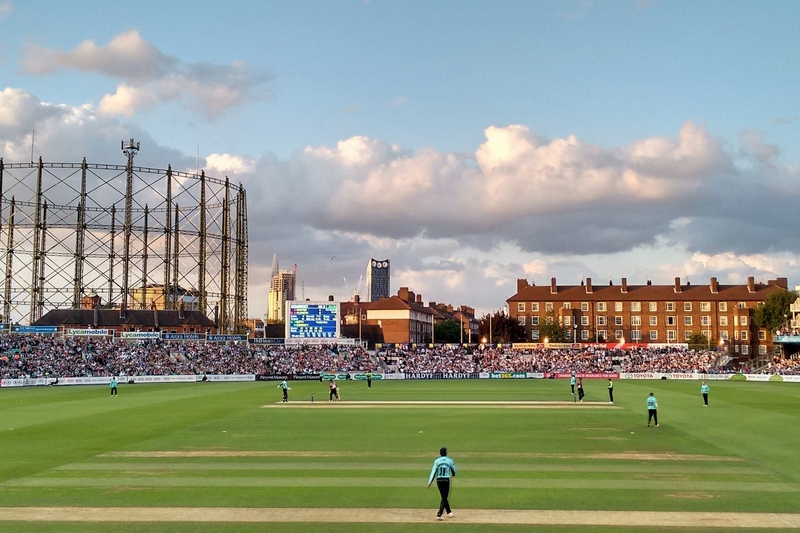 The Oval is a great day out and at only £24 a head, the Twenty20 cricket matches are a bargain! Pretend you're James Bond at the home of MI6, right next to Vauxhall Bridge. I think this area, has beautiful houses, my home is a 20 minutes walk from oval station and 15 minutes walk to stock well station. There are also plenty of good supermarkets within the local area, including; Tesco's, Lidl, Iceland, and Sainsbury's. My Son's school is only a 2 minutes walk from where we're living, and everything in this area almost seems very convenient. It only takes 25 minutes to get to Covent Garden from where we live. I love Vauxhall because of its diversity, cultural backgrounds, convenient. I am able to take the public transport easily and travel to Central London. When I first moved to London from Scotland I was absolutely scared to the change. i was not used to the fast paced environment but I am fascinated in meeting new people for all walks of life. There are a lot of opportunities in London and lots of things to see. The most of all is the fact that I am able to see famous people which is a bonus. What do you think of Vauxhall? There are several gentrified areas, and smart roads of terraced townhouses on streets such as Fentiman Road and Heyford Avenue are well known as desirable locations. Vauxhall is also a popular residential area for Members of Parliament and civil servants due to its proximity to the Houses of Parliament and Whitehall. Much of the area in Vauxhall contains light industry, offices and government buildings. Many companies and organisations were attracted in the past by Vauxhall's central location and comparatively cheap rent compared to Westminster on the other side of the river. In recent years, Vauxhall's riverside has undergone major redevelopment with the construction of a number of modern residential and office blocks, most notably the distinctive MI6 building at Vauxhall Cross. There are also a number of new commercial businesses moving in to the area. What are your favourite things about Vauxhall? Find out how much your flat or house is worth om Vauxhall. Feedback about living in Vauxhall has been submitted directly by the public and may not neccessarily reflect the views of Foxtons. The description of Vauxhall was modified from Wikipedia and is available under the Creative Commons licence. Land Registry data is Crown copyright. All the views and contributions contained within Foxtons Local Life are those of the contributors. All content is assessed before publishing for taste, however free opinion is encouraged. Foxtons accept no payment or sponsorship for content that is posted about Vauxhall.